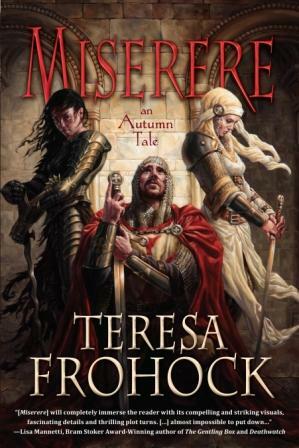 One of those authors is Teresa Frohock, so I was very much looking forward to reading Miserere—An Autumn Tale (Night Shade Books, 2011). The world of Miserere is called Woerld and is one of four interconnected realms of existence: our Earth and Woerld, Heaven and Hell. Woerld is the battleground in which fighting orders based on all of Earth’s religions battle to contain the hordes of Hell , which are constantly striving to break out, overwhelming first Woerld and then Earth, with the ultimately objective of retaking Heaven. Many—if not all—of the recruits into the fighting orders of Woerld are drawn through from Earth as children, although from different stages in its history, and this is true of the four central protagonists: Lucian Negru and his sister Catarina, Rachael Boucher, and Lindsay Richardson. So given this synopsis, what “kind” of Fantasy tale is Miserere? Firstly, in terms of being “like” other stories, the one it most put me in mind of is the graphic novel Constantine, in that it draws heavily on religious elements, particularly the conflict between Heaven and Hell. Also “like” Constantine, Miserere has strong supernatural and even horror elements. But I also feel that it is epic in scope, even though the focus of the story is on personal struggle: Lucian’s for redemption, and Rachael’s for survival. So: How Did I Find the Read? So epic, religious, supernatural, horror, or that convenient catch-all, ‘dark’ fantasy—take your pick really. Mainly, I feel that Miserere is just a good story, well told. 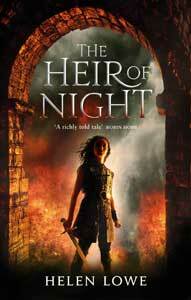 So why do I think that: what was it about the book that “spoke to my heart?” Firstly, I think it is the way Teresa has juxtaposed the personal struggles of Lucian and Rachael, both within themselves and with each other, against the larger epic backdrop of the conflict between Hell and Heaven. I also really like the portrayal of Lindsay, a child thrown out of our world and into Woerld: both her struggle to come to terms with that, and also her evolving relationship with Lucian as first her rescuer and then her mentor. The Miserere story also spoke to elements I love in Fantasy of any variant: the internal struggle of the protagonists; the sense of real ‘light’ and ‘dark’ at play, both within and without the characters; and the importance of friendship and love and what I call ‘fidelity’–the characters being tested in terms of holding true to each other, but also to their own sense of truth. I also very much liked that there were real enduring consequences for Lucian’s betrayal of Rachael that were not just lightly glossed over and then dismissed, something that really annoys me in a lot of apparently ‘consequence-free’ fiction. Miserere is also a cracking read once it winds up, which is does fairly quickly in my opinion—I had intended to read it slowly, but found I wanted to keep reading and ‘just find out’ what would happen next. Another reader (yes, I’ve recommended it already!) who also very much enjoyed the book, did indicate finding the story a little slow to get started, but I like a story to build and characters to be established so that wasn’t a quibble for me. I did feel the character of Catarina was less well-developed than Lucian, Rachael, or Lindsay in terms of my understanding of what had led her to forsake the Citadel and forge her alliance with Hell. But I am also aware that Miserere is the first in a series—Teresa is working toward the sequel Dolorosa now—so it may be that understanding will unfold more as the story proceeds. Overall though, I found Miserere–An Autumn Tale a fine read that kept me turning the pages, but also really satisfied at an emotional level. In short, I’m not at all surprised that Library Journal gave it a coveted starred review. In terms of similar kinds of Fantasy—aside from Constantine, I think if you have enjoyed Neil Gaiman’s Neverwhere or David Gemmell’s The Knights of Dark Renown, you may well enjoy Miserere. I am very glad you liked it.